The new 9/11 Museum is open now in lower Manhattan. 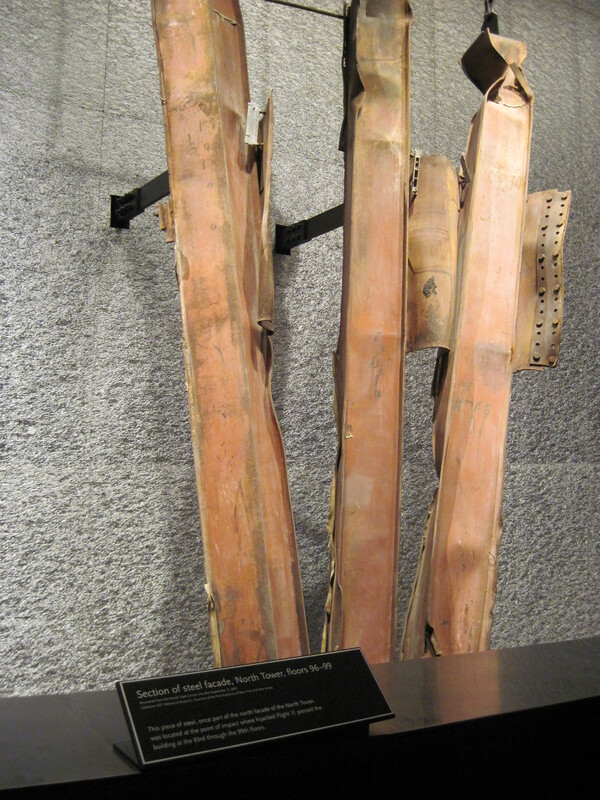 Previews of the museum were offered to 9/11 families and to the workers who spent so many months recovering the remains and clearing the site. I was fortunate to be able to attend as a guest of one of the 9/11 families. My friend and I had agreed in advance that we would just do this somehow, get through it, and focus on getting a nice lunch afterward. While I was waiting to meet her, I walked around a handful of the neighboring streets adjacent to the memorial and this new museum. 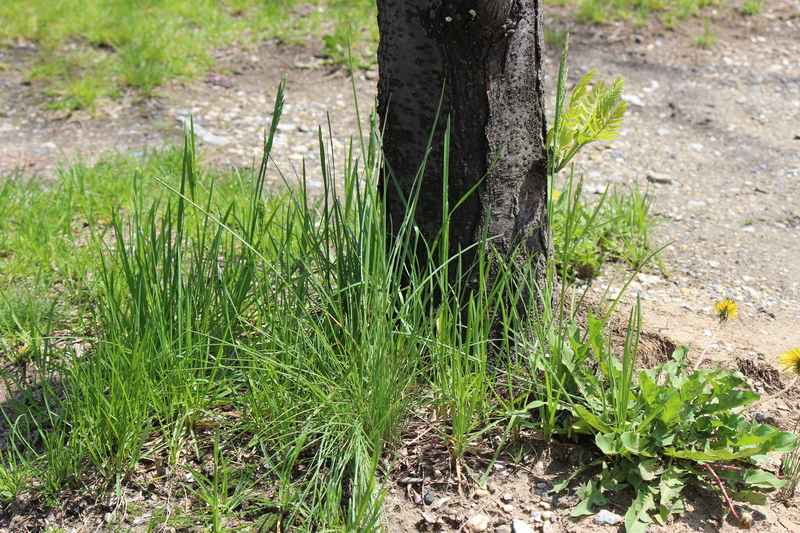 It’s funny – she and I both got a little lost getting there. I never had to know where the World Trade Center was before, because I could always look up. I never looked for streets or coordinates the way you do in every other part of the city, I would just look up. Remarkably, the new Freedom Tower was topped in mist and fog yesterday so looking up, even if that building were something I would look for, was futile. There was nothing visible up past the first couple dozen storeys. You enter the museum and go down. There is a coffee and snack bar and a conference room just up a flight of stairs, but everything else is below ground where you can view the slurry wall that held back the Hudson River, preventing all of lower Manhattan from going under water. 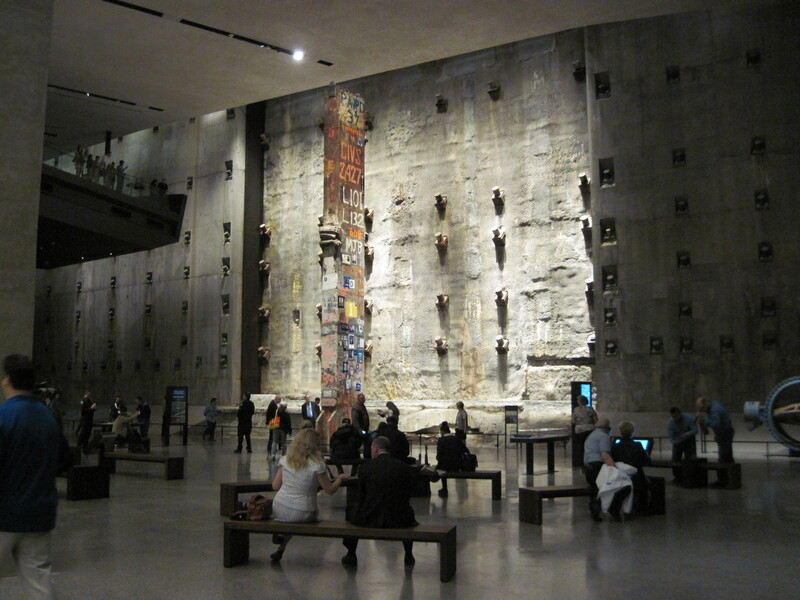 And there are exhibits specific to each of the towers, along with photos of each of the nearly 3000 people who died. The twisted beams and steel supports that were pulled out of the pile are displayed as if they were objets d’art, something better suited to a contemporary art museum. One of the fire trucks that was destroyed is there in a large room that also has the remains of the communication towers that supported the antennas. That’s one of the things I remember from September 11 – those antennas were integral in most cellphone communication in 2001. It’s why telephone calls, in the first few hours of the event, were so difficult. What struck me, beyond the enormity of the exhibits and the massive amount of painful and painstaking work that went into creating this place, was one small room where they played music. In other rooms, there were recordings of news broadcasts, tapes of the voicemail messages that were left by the people in the towers, and I heard Amazing Grace playing off in the distance when I was about to leave. But for just this one room, just for a small exhibit, nothing struck me like the recording of a Rimsky-Korsakov excerpt from Scheherazade. How terribly perfect it was. While the photos, the objects, and the collected debris were all so very important, nothing is more important than telling the story. That’s Scheherazade – she lived because her stories held the king in thrall. She was the iconic storyteller, the one whose very existence relied on her ability to tell a story. I was so moved by the selection of that particular piece of music in that tiny room in that vast and sorrowful place that I can’t even remember now what it was accompanying, what part of the story that room was trying to tell. But that’s what I came away with: the story of 9/11 is how bold and visionary New Yorkers built two tall, arrogant, spectacular, landmark buildings and how a small group of envious, hateful men thought they could bring down those buildings and bring down America at the same time. And how wrong those men were. While we might have been thrown off balance and it might have taken us months to mourn the dead and grieve our loss, we’re not down. The Freedom Tower is up, the new transportation hub is nearly ready, and there is so much for us to be thankful for. The twin memorial fountains are lovely with the sound of fresh water running over stone. It’s a gentle place to remember both the people who died and the day that took them from us. This story is still being written. We will keep telling this 9/11 story, we will tell stories of the courage and the heroism, the lives lost, and how everything changed that one frightfully beautiful day in September, when the clear blue sky was suddenly filled with the smoke from a terrible fire. We are all storytellers now and it’s what keeps us alive. Just like Scheherazade.